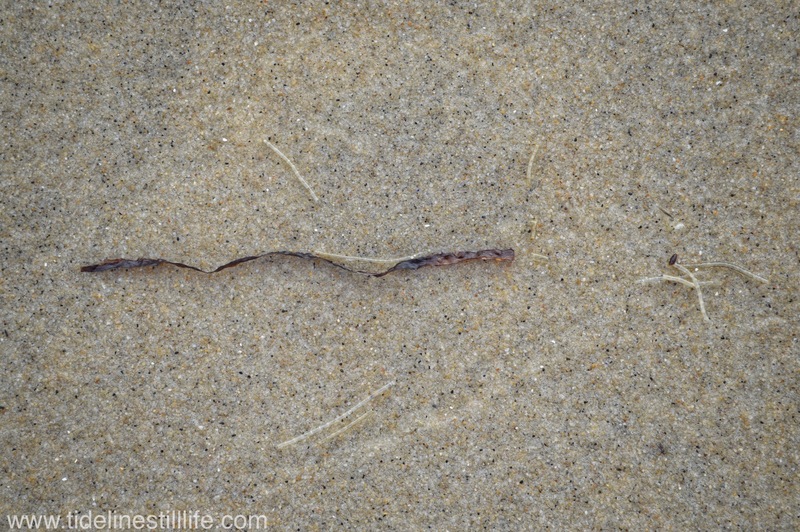 There was something about this simple sea grass and other small bits that drew me in. Perhaps it is because I am looking for a bit of calm in the current political climate…..
Maggie – it looks like you are taking a break. i hope all is well. All is very well, John! Thank you! We have been incredibly busy, and there has been little time in the past months to walk the tide line. Most of my tide line time has been spent with a grandchild by my side (feet?) We’ve gotten six new littles in the past four years, and they all spent time with us over the past six months. I did manage to catch a few treasures with my iPhone on a recent trip to Vancouver, BC, one or two of which might be decent. Your comment started my day with a huge smile! Sending you warm greetings from very chilly New Jersey! Glad to hear you and the grandkids are having fun ! and that you are well ! Thanks Maggie !